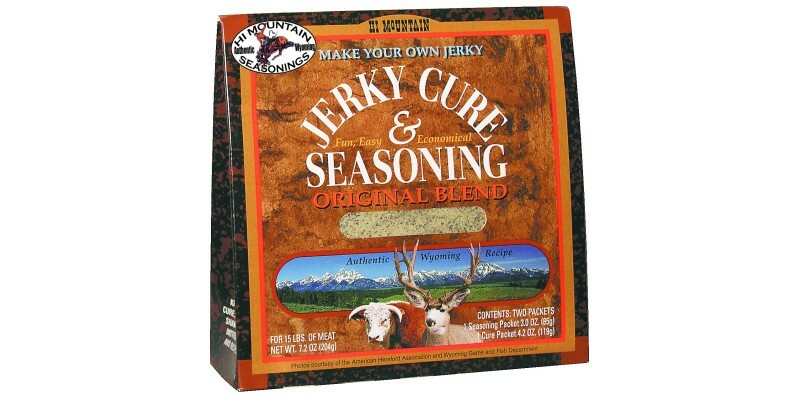 Just as it says our Original Blend Jerky Cure and Seasoning was the first authentic Wyoming cure created to make the World's greatest homemade jerky. Each kit seasons up to 15 lbs. of whole meat, 11 lbs. of ground. Kit includes one package of cure, one package of seasoning, a shaker bottle for easy mixing and detailed instructions.